The Highlands Nature Sanctuary stretches 2,600 acres along the foothills of Appalachia. 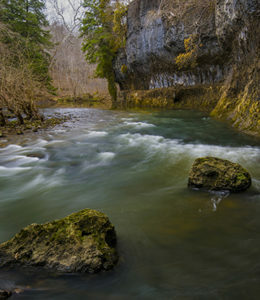 The Sanctuary sits on a rich limestone bed, overflowing with unique plant and wildlife that make the land extraordinarily diverse. This place is somewhat of a secret to those outside of Southeast Ohio, but to those who come across its existence, a special kind of escape awaits. The sanctuary is owned and operated by the Arc of Appalachia, a grassroots non-profit that focuses on forest conservation. Nancy Stranahan, the executive director and one of the organization’s founders, has witnessed the sanctuary and the growth of the Arc to more than 5,000 acres, firsthand. 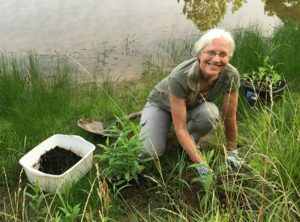 Nancy Stranahan at the Highland’s Nature Sanctuary. Courtesy of the Arc of Appalachia. “We wanted to leave a legacy and the thing that made us the happiest was land preservation,” Stranahan said. Thus the search for the perfect piece of property began. Stranahan had roots in Southeast Ohio so the effort started there. There was talk around the community about 7 Caves, a children’s theme park that had been around since the 1930s, going up for sale. 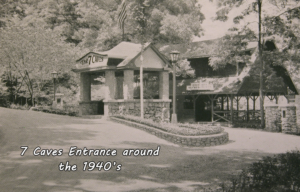 At its peak in the 1960s and 70s, when camping had enticed families across the country, 7 Caves offered adventure and wonder to little ones with push-button lights, wildlife education, a lodge-like gift shop, and wooded trails that ran through the Rocky Fork Gorge. But by the 90s, 7 Caves experienced financial difficulties, and part of the land went up for sale. To maintain the history of the area, the owner of the theme park put 47 of the total 60 acres up for sale and kept the caves and the gift shop business intact. Stranahan and her counterparts couldn’t afford the entire park, but desperately wanted to see it purchased by the state or another local organization. They held fundraisers selling baked goods to raise donations and awareness for more than a year, hoping a major buyer would turn up, but no one was biting. With no background in real estate or fundraising, Stranahan and her team dove right in to the world of land acquisition. They established the Arc of Appalachia, and launched major fundraising efforts to purchase 7 Caves. By 1995, the Arc had raised enough money and awareness to buy out the 47 acres and allow the owner to keep his portion of the business up and running. For the next ten years, the Arc quietly preserved the land, allowing the theme park operations to continue, and taking care of the natural habitat. No one could enter the Arc’s property simply because there wasn’t an entrance. Those 13 acres still owned by the theme park contained the entrance and the shop. With no official way in, the Arc’s sanctuary didn’t technically exist to the public. Then in 2005, the final 13 acres went up for sale, which included the shop, the roads, the entrance, and of course, the caves. This land was highly valuable and the price tag was much too high for the Arc. They knew if they wanted to purchase it, they would need serious help. The Rocky River Gorge. Courtesy of the Arc of Appalachia. Thankfully, the Ohio Department of Natural Resources stepped in by getting an easement for the land that made it so developers couldn’t alter or build on the land, drastically reducing the cost and making it eligible for a grant from the Land and Water Conservation Fund (LWCF). LWCF was established in 1964 to invest revenue from offshore oil and gas operations into public parks to provide recreation, cultural opportunities, and natural areas all across the country. So, it made sense that the last portion of 7 Caves was saved by LWCF. With a $50,000 grant, ODNR was able to acquire the land and permanently protect the natural areas forever, meaning no development would ever take place on the property again. ODNR then sold the land to the Arc, who have operated it ever since, slowly moving it away from a theme park and restoring it to a natural habitat. Since the final purchase of 7 Caves, the Arc has renovated the gift shop into the Appalachian Forest Museum where visitors can learn about the unique biome of the Appalachian Mountain Range that stretches from Maine to the panhandle of Florida. Stranahan said no one took the park seriously when it was set up as a theme park. Nowadays, scientists and naturalists are coming from all over the world to uncover the complex biodiversity in the sanctuary. 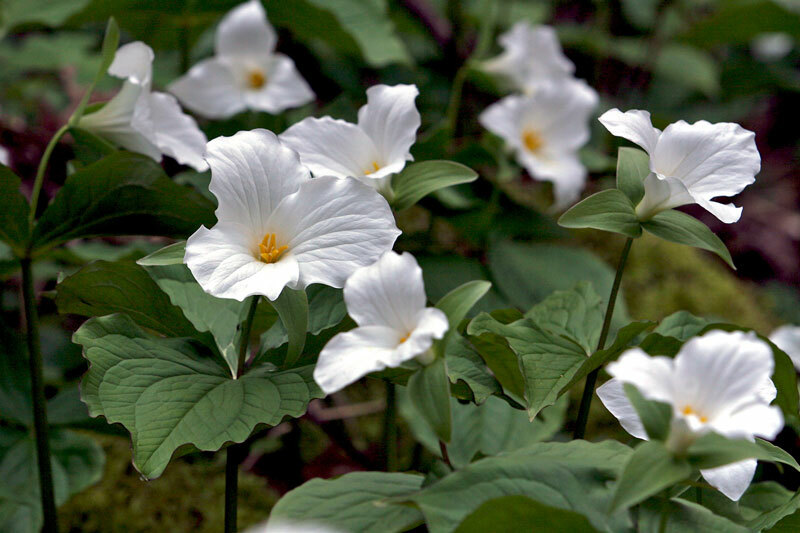 White trillium at the Highlands Nature Sanctuary. Courtesy of the Arc of Appalachia. In the park, you’ll find many threatened and endangered plant species, including the rare Wall-Rue Fern, the rare Smooth Cliff Brake Fern, and the Sullivantia, which is threatened on a distribution level meaning it only grows in a few locations in the entire world and those locations are threatened by development, deforestation and other environmental factors. The park is also teeming with native species such as the Walter’s Violet, one of the smallest violets in Ohio, Trillium, White Cedar, the White Elegance Lily, and critters like the Henslow Sparrow and four species of bat, three of which are imperiled and the other federally endangered. Highlands Nature Sanctuary is rooted in Appalachian history and we must not forget the fund that made it possible for it to be protected for future generations to enjoy. The LWCF has given millions to our parks here in Ohio and has touched every county in the state. But, unfortunately, it could expire in September 2018 if our lawmakers choose not to reauthorize it. There is still time. If you want to see this fund here to stay, tell your lawmakers to reauthorize LWCF and secure funding for parks across the country once and for all.